A navy parka and a grey knit scarf are a great outfit to add to your day-to-day styling rotation. And it's a wonder how a pair of brown uggs can upgrade an ensemble. 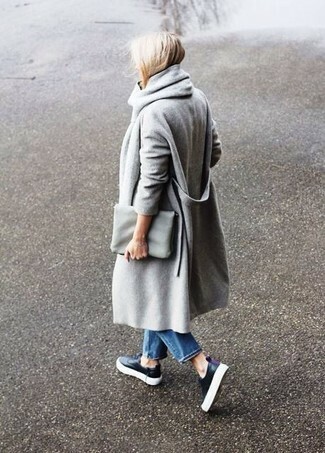 This laid-back pairing of a grey coat and a grey knit scarf is effortless, stylish and very easy to recreate! You can get a bit experimental with shoes and add black fringe leather ankle boots to the equation. 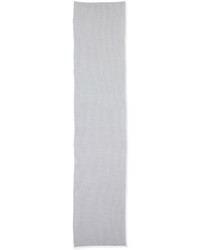 A beige knit oversized sweater looks so nice when worn with a Marc Jacobs Textured Knit Scarf Gray from Neiman Marcus. Bring a dressier twist to an otherwise straightforward look by finishing off with a pair of beige suede ankle boots. If you appreciate comfort above all else, marry a grey coat with a grey knit scarf. Black low top sneakers will be a welcome addition to this ensemble. For an outfit that's very simple but can be flaunted in a ton of different ways, pair a white and brown horizontal striped casual dress with a Marc Jacobs Textured Knit Scarf Gray from Neiman Marcus. Dress in a black sweater dress and a Marc Jacobs Textured Knit Scarf Gray for a neat and trendy look. Don't know how to finish off? Introduce a pair of brown suede knee high boots to the equation to turn up the wow factor. 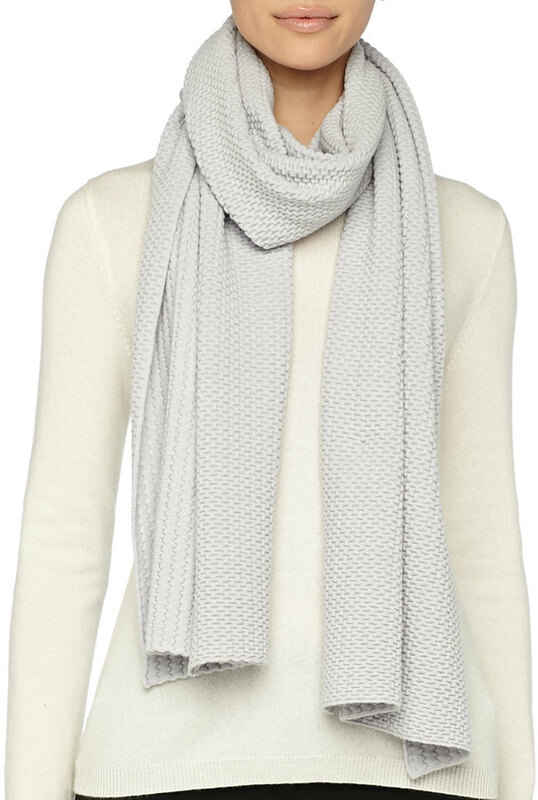 For a look that offers function and fashion, wear a grey coat and a Marc Jacobs Textured Knit Scarf Gray from Neiman Marcus. Puzzled as to how to finish? Complete your outfit with a pair of grey suede over the knee boots to kick up the glamour factor. Why not team a dark brown parka with a grey knit scarf? As well as totally functional, both pieces look fabulous worn together. Marrying a grey cardigan with a Marc Jacobs grey knit scarf is an awesome option for a laid-back but seriously stylish look.